For any season, rain or shine, Event Magic features hi-quality tents and canopies of all sizes, used for any type of event. We can accessorize your tent or canopy with flooring, carpeting, portable dance floors, fans, lighting, and heating. Tent Walls aka Sides are available with clear or white siding. Whether it’s for an intimate wedding reception or gala dinner, single street fair, sales pop-up tent, or multiple tents for a massive outdoor festival, we have everything you need in stock. 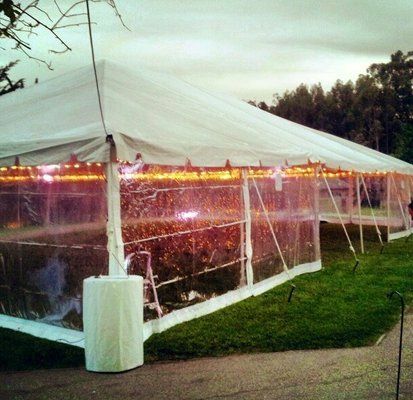 Food vendors, ticket sellers, and other event participants may want to rent zippered mesh walls with serving windows. 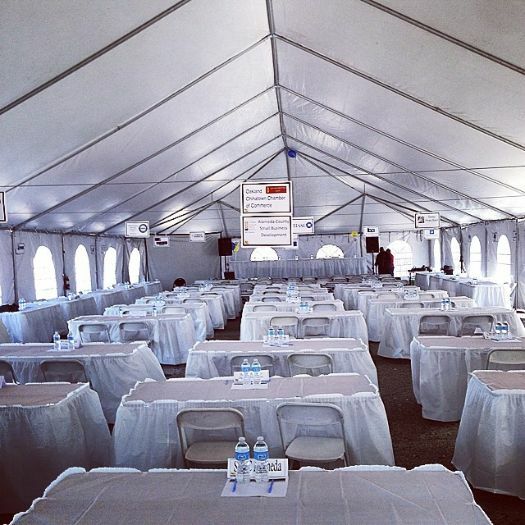 We offer commercial grade equipment, and all of our tents accommodate food service regulations. You can have numerous styles of white, or even our unusual custom black 20′ x 20′ vinyl peak tent. We can accessorize your tent or canopy with branded graphics and decals, signage, props, flooring, carpeting, black or green astro turf, portable dance floors, video screens, furniture, fans, lighting, and provide heating as well. Our tents’ can come with walls, that still allow for proper air-flow, and ventilation, and protection from contamination and insects. We can also help you meet event insurance and permit regulation requirements with our exits signs, crowd control barricades and fencing, and fire extinguishers. Just fill out the form below and let us know your needs so we can provide a quote.